Senior cabinet ministers have pledged their support for the prime minister in the wake of Friday’s election result. Foreign Secretary Boris Johnson said Theresa May was the “best placed person” to lead the country through Brexit. International Trade Secretary Liam Fox said he had “absolute faith” in the PM. Earlier, former Chancellor George Osborne described Mrs May as “a dead woman walking” and said she would inevitably face a leadership challenge. Mr Osborne, now editor of the Evening Standard, said Tory MPs were “furious” that Mrs May had not acknowledged their losses in the general election. 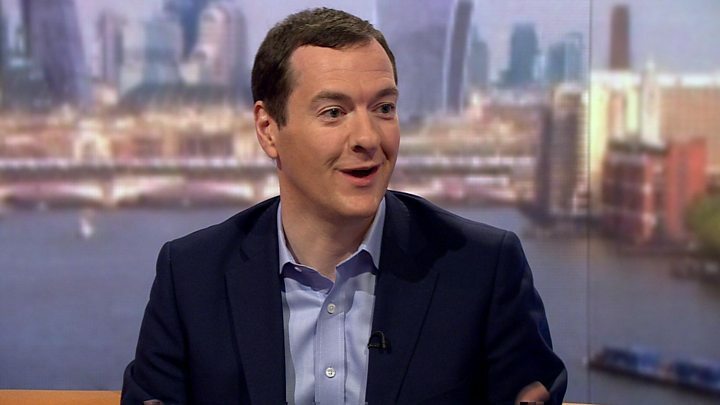 Speaking on the Andrew Marr Show, Mr Osborne said a leadership challenge could come “at the end of next week”. 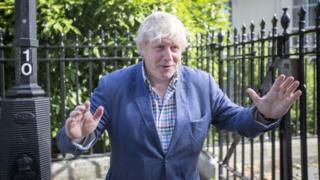 He described Boris Johnson, who has been named as a possible challenger in the Mail on Sunday, as in a “permanent leadership campaign”. Other Conservative MPs have predicted that the party is likely to choose a new leader after a transitional period. Former education secretary Nicky Morgan told ITV’s Peston on Sunday the party needed to change leaders before the next election, saying a contest could take place over the summer. Anna Soubry, former minister for small businesses, told the BBC’s Sunday Politics programme she believed Mrs May would go before the end of the year. “We don’t want her to go now, we want a period of stability,” she said. But Graham Brady, chairman of the 1922 Committee of Tory backbenchers, told Sunday Politics that it was important for Mrs May to stay in office at a time when no other party could form a government. Turning to Brexit, the election had given more power to Northern Ireland’s Democratic Unionist Party, and to Conservatives in Scotland, Mr Osborne said. He said this shift would change the debate, because the DUP were committed to avoiding a hard border with Ireland. Ruth Davidson, leader of the Scottish Conservatives, has called for a new approach to Brexit, prioritising free trade and the economy over restricting immigration. “I don’t think there is a majority now in the House of Commons for the kind of hard Brexit which is a route to political ruin for the Tory party, but more importantly is a real route to trouble for the country as a whole”, Mr Osborne said. Mr Osborne also revealed Mrs May’s words to him when he was sacked last year. Also speaking on the Andrew Marr show, Sir Michael Fallon said Mrs May was right to call an election, and as the biggest party it was now their “duty in the national interest” to form a government. “We have to get on and make the best of it. There is no other party that has any legitimacy or credibility in forming a government”, he said. The Conservatives “fully understand what people are saying to us” and the Prime Minister would take a more collaborative approach to government, he added. “Clearly a minority government requires a different approach. You’ve already seen some changes in personnel at Number 10 Downing Street. I welcome that. “You’re going to see more collective decision-making in cabinet. I and other senior colleagues have made that clear to her,” he said.